This document has been produced as a guide to help ETS staff and employers understand and work to the current Education and Skills Funding Agency (ESFA) funding rules on planning and delivering a minimum of 20% off-the-job training (OTJT). Both the ESFA and Department for Education (DfE) have seen this guidance and provided feedback during its development. Apprenticeship programmes have changed substantially over a long period of time and successive governments have regulated the structure of programmes. However, a common feature of the programmes has been the combination of on-the-job and off-the-job training. It is accepted by all the stakeholders in the sector that the most effective programmes are those that combine training whilst doing the job as well as time taken to learn new ways of working and new skills. ETS support this principle and we have developed programmes which combine these two elements effectively. We value the time spent on off-the-job training which can be in classrooms or at the workplace. From May 2017 the Government, through its funding agency the ESFA, has introduced new rules to manage the delivery of off-the-job training. There have always been rules about delivering off-the-job training but these were generally managed through the delivery of the qualifications and were monitored by awarding organisations. The new rules are more specific in the need to deliver and monitor the off-the-job training which has to be a minimum of 20% of an apprentice’s employed time whilst on the programme. What can be included in OTJT? “The teaching of theory (for example, lectures, role playing, simulation exercises, online learning, manufacturer training). “Practical training; shadowing; mentoring; industry visits and attendance at competitions. The key phrase that differentiates the OTJT is that it must be time that is not spent as part of their normal working duties. By this the ESFA mean the “productive job.” When someone is in a new job or in a job where there is significant training required to be fully productive then even doing ‘normal’ tasks to get up to speed can feel like “training”. Where this training also teaches the knowledge, skills and/or behaviours required by the apprenticeship it can be included as off-the-job training. However, training that is only required for the job and not relevant to the apprenticeship cannot be included. ETS have been working with apprentices for many years where the performance of working tasks are very much part of the training package. Activities such as these would be recorded as part of the apprentice’s record. ETS will monitor the progress of the apprentices as a matter of course through an electronic portfolio system. The expectation is that off-the-job training is specifically to support the development of new behaviours and also skills and knowledge linked to the actual vocational occupation. As previously stated training that is not required for the achievement of the apprenticeship is not to be counted. This includes training for the job in excess of that needed to achieve the apprenticeship. Progress reviews are not included as they are a review of progress to date, they are not new learning. The legal definition of off-the-job training, as shown previously, is all encompassing and includes all training required for the apprenticeship and there is no specified amount. However, for an apprenticeship to attract government funding, either via the employer’s apprenticeship service account or via government-employer co-investment then there are two additional funding rules that must be followed. This is defined as at least 20% of the contracted paid hours. If the working hours are uneven then it would be 20% of the estimated total working hours across the programme. The hours spent off-the-job training do not have to be evenly spread on a weekly or even a monthly basis. Many programmes will have more OTJT at the start of the programme or when apprentices are preparing for their end-point assessment which is why the 20% is measured across the whole programme. The measurement of the 20% may therefore only be completed at the end of the programme although clearly employers and providers will need to monitor the OTJT delivered on an ongoing basis. The OTJT can be delivered flexibly and include a wide range of activities – an example of different approaches to delivering OTJT can be seen here in the 2017 DfE guidance document: Apprenticeship off-the-job training – Policy background and examples June 2017. Second, a rule that English and maths (up to and including Level 2) must be additional to the minimum 20% calculation. Funding for English and maths (up to Level 2) is provided, directly to providers, in addition to the core funding available for the vocational training. The key principle here is that apprentices who require English and maths are not disadvantaged in the volume of off-the-job training being received when compared to those apprentices not requiring English and maths to complete their apprenticeship. 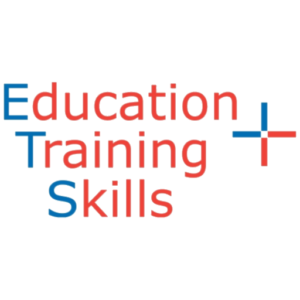 Where relevant ETS contextualises the delivery of English and maths within the vocational delivery to help the apprentices test their occupational understanding and put their newly developed skills and knowledge into practice. This would be valid to include in the 20% OTJT providing the assessor and trainer records the training correctly and the tasks are directly related to the occupational component of the apprenticeship standard. The amount of occupational knowledge (upskilling) must not be affected by the individuals need for English and maths. They must not be disadvantaged against their counterparts that do not require this additional support. ETS follows this approach when calculating and planning for OTJT at an individual apprentice level as individual apprentices have different contract hours of employment. Where an apprentice is unable to attend a planned session of OTJT they agree with their employer to catch up on the missed content of the programme. This must be within their working hours. Although the ESFA apprenticeship funding rules state that induction cannot be funded, this rule applies to the induction to the training provider, not the employer. The Policy Background document on OTJT states that OTJT within an induction can be included provided that there is an ‘educational element’ within the induction which supports the skills, knowledge and behaviours of the standards. At ETS we intend to make the inductions a challenging activity that sets out how the induction supports the apprentice and sets out the clear journey towards the achievement of the programme. Where appropriate the work based induction elements will be split out from the induction to the apprenticeship programme. For induction to be included it needs to be when the apprentice is “on-programme”. If the induction is prior to apprenticeship starting, then this would not count as off-the-job training, but any relevant training undertaken could count towards being recognised as prior learning. Training and support outside of the apprentices’ contracted working hours can be included in the programme but this would not count towards their 20%. Although time spent on the programme outside of working hours is very valid and in some instances supported and encouraged by the employer, the out of work hours must not be a requirement to complete the apprenticeship. Apprenticeships must be able to be completed within paid hours and any out of hours work is optional. These rules do not require a detailed breakdown of exactly which hours are included in the 20% nor do they need to record what the time was spent on. However, there is a need to set out at the start of the programme the plan as to how the 20% will be covered and the types of activity that the apprentice will be involved in and the role that the employer and provider will take. The DfE guidance does state that the preference is for the evidence to be “naturally occurring” and not evidence just to justify the 20% off-the-job training. ETS will set out a very clear Individual Learning Plan (Commitment Statement) for every apprentice which gives the overview of how the 20% of OTJT will be covered tailored to the individual following their initial assessment. This ILP will include full input from the employer including those in house activities that support the programme. The apprentice, employer and ETS all sign this initial plan and commit to its delivery across the length of the programme. ETS record all the learning activity in the portfolio that the provider, apprentice and employer have access to. This creates a learning record of the whole programme including OTJT. The Learner Journey is monitored on a monthly/quarterly basis by ETS and we will discuss any issues around the 20% with the employer. During the programme the delivered off the job should be monitored and planned delivery adjusted where necessary. Towards the end of the programme ETS would confirm to the apprentice/employer that the 20% OTJT requirement has been met and recommend any actions if there were any issues around recording of the OTJT. As part of best practice ETS includes all aspects of the programme within the commitment statement as they like to have everything documented and clear with each employer they work with. However, it’s clear from their commitment statement that not everything contained within is relevant and is part of the 20% OTJT, for example arrangements for maths and English and anything above and beyond the programme requirements. The table below sets out the type of activities that we will build into the ILP. These individual plans can be very flexible and adapted to the needs of the apprentice, the job and the employer. The table below shows just one example of a planned programme of hours. These plans may also vary across the programme i.e. higher at the start or at the end. These activities can vary between apprentices dependent on needs and monitoring can be done in a number of different ways as identified above. This document relates primarily to DfE policy and the associated Funding and Performance Management rules developed by the ESFA and includes a focus on compliance and audit. Ofsted, the custodians of passing independent judgements on the quality of apprenticeship provision have been very clear on a number of occasions that they are “inspectors and not auditors” when it comes to OTJT. Ofsted expect apprentices to be developing new skills and making timely progress towards completing their training. Where apprentices are not achieving these aspects then Ofsted will explore why this is and as a result they are likely at times to undertake more detailed reviews of how OTJT is planned, delivered and monitored. ETS fully supports the drive to ensure that all apprentices should have the opportunity to learn new skills for a substantial period of their programme. This can be achieved without major disruption and ensures the apprentice can competently do their job and make a major contribution as part of their employment. Employers working closely with ETS can ensure that they maximize the opportunity for apprentices to learn as well as ensuring the apprentices can maximise their contribution as an employee. ETS will follow this key process to ensure that the 20% OTJT rule is met but that the needs of the apprentice and the employer drive the delivery model and monitoring. ‘Off-the-Job’ or ‘On-the-Job’ – It could be argued that the term ‘off the job’ is a little unhelpful as it suggests apprentices physically need to be away from their work premises for it to apply. This is not true and training can absolutely happen in the workplace. To count it just needs to be case that apprentices are not undertaking normal day-to-day duties and that their time is being spent in some form of training or development relevant to the Apprenticeship standard they are completing. 20% – doesn’t mean one day per week – Again do not assume that 20% means one day per week needs to be spent training. However as long as in its entirety 20% of the programme has been spent in training and development then you can plan the training to take place whenever and wherever you want. Make inductions count – The rules don’t allow for inductions to be included IF they just involve showing somebody where the kitchen is or meeting the team. To count they should happen once the individual is enrolled as an apprentice and ETS is engaged. If induction includes actual training and skills development that link to either the skills, knowledge or behaviours in the specific standard then this can, absolutely, be included. We know many employers have very comprehensive inductions into new roles, sometimes including up to 2 weeks of technical training. We would recommend working with ETS on the start date of Apprenticeships to ensure this training can be taken into account. Embrace flexibility of delivery methods – It is the case that the 20% has to be achieved in work time so if you only allow your students to study in the evening and weekend and don’t give any time off in lieu, then this won’t count. However, if adopting a day release model doesn’t work for your business, you can still make the most of the flexibility a provider like ETS can offer in terms of delivery. So for instance you can still use courses in anti-social hours but plan time off in lieu to fit around work requirements. Or you could look into the new on-demand learning packages which allow students to study wherever, whenever, so they can choose less busy times at work to concentrate on their learning. Where online resources are used, it would be generally expected that the programme included some face-to-face tutor support rather than pure machine-led learning. Employers who apply this to philosophy when developing their apprentices’ skills knowledge and behaviours will result in being able to demonstrate time is spent and can be counted as part of the 20% OTJT. Finally, ETS are frequently asked how this will be monitored and evidenced. The guidance is very flexible and encourages employers and providers to work together to use ‘naturally occurring evidence’. It is a requirement that to enrol onto an Apprenticeship programme, providers have worked with the employer to understand how the 20% will be made up. At ETS we will put together a plan, similar to the one previously mentioned that will be bespoke to each apprentice and employer. At regular review points, our Training Facilitators will review with the apprentices what training they have received over the last 6-10 weeks to make sure that what was agreed at the start of the programme is being adhered to. Our Training Facilitators will log this on the apprentices Onefile if the apprentice or employer has not already done so. Whilst it is good practice for apprentices to keep a note of when they have received/attended training courses, we are not asking them to log hours.